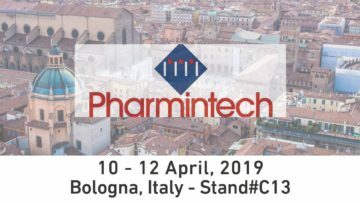 Join Comecer at PHARMINTECH 2019 in Bologna, Italy. It will take place on 10-12 April 2019 at the Bologna Fiere, Pav. 16, Stand C13. We are happy to offer you a free ticket for your entry at Pharmintech: you only have to register online with our invitation code, it’s easy! Afterwards you will be able to download your ticket (you will also receive the ticket via email). Just print it and show it at the right entrance, avoiding queues and wasting time. Some of our isolation technology solutions are also designed for regenerative medicine organizations, if this is your field come and ask us about them. Meet our Pharma Division team at Stand #C13 at Pavillion n.16, and get all the details on how Comecer capabilities for Aseptic and Containment requirements as example Sterility Testing Isolators or Aseptic Isolated Filling Line for READY TO MIX Device and HIGH POTENT API Process Isolators. It is a battery-powered glove tester that performs leak testing on gloves installed on isolators or RABS where a strict separation between the isolated area and the external environment is required. Fast, portable, and ISO 14644-7 Annex E.5 compliant.Do you need customized automated lines for any kind of drug-device system? Also, do not miss the Aseptic Filling session on Thursday 11th April, in the “Plenaria room”, Pavillion n.21. In this session our Pharma Italy Sales Manager, Simone Penazzi will speak with Luca Pezzano of IBI: Aseptic Isolated Filling Line, QRM Approach and case study: the Comecer & IBI project. Meet Massimiliano Cesarini and Simone Penazzi at our stand. They will be there to answer your questions and share the details of our references. If you want to organize your time at this event, make an appointment with them at the best time for you.